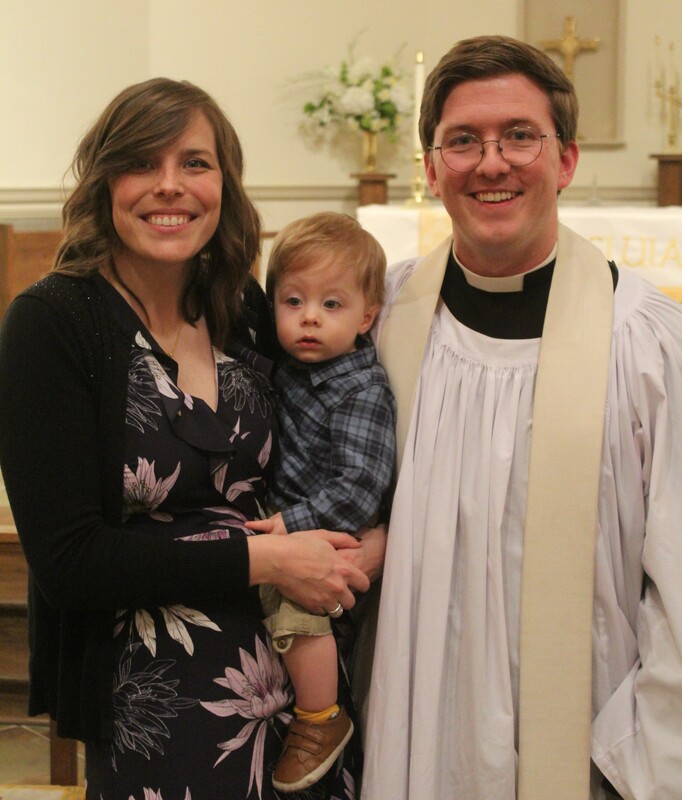 CULLMAN, Ala. – Grace Episcopal Church welcomed James (Jay) Wynn Gardner III as its new rector this week with a special service and reception. Bishop John McKee Sloan read the Letter of Institution and Rev. Canon Craig Smalley delivered the sermon at the installation ceremony. Gardner is originally from Alabaster and attended the University of Alabama in Huntsville where he earned degrees in philosophy and music. He then attended Samford University’s Beeson Divinity School. Afterward he moved to New York City to attend The General Theological Seminary School to become a priest of the Episcopal Church. He worked in New York for two years after becoming an ordained priest. Gardener and his wife Paige welcomed their son William just over a year ago and decided to come home to be closer to family. The Gardners were joined by the Grace Episcopal Church congregation and many family members and friends for the ceremony and reception, including friends who traveled from New York to support and celebrate Gardner’s installation.